Low, William. Very Good. Adapted from Bill O'Reilly's bestselling historical thriller Killing Jesus, and richly illustrated, The Last Days of Jesus is a riveting, fact-based account of the life and times of Jesus. Trade paperback (US). Glued binding. 352 p. Contains: Illustrations. Intended for a juvenile audience. Low, William. Very Good. 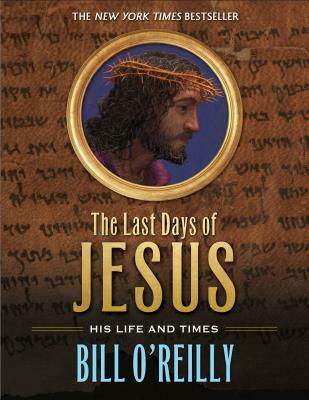 The Last Days of Jesus: His Life and Times by Oreilly, Bill. Sewn binding. Cloth over boards. With dust jacket. 320 p. Contains: Illustrations. Intended for a juvenile audience. Low, William. Good. The Last Days of Jesus: His Life and Times by Oreilly, Bill. Sewn binding. Cloth over boards. With dust jacket. 320 p. Contains: Illustrations. Intended for a juvenile audience.